The History of White Hart Lane is a chequered and storied affair. White Hart Lane was a football stadium in the suburb of Tottenham, London and was the home of Tottenham Football Club from 1899 to 2017. ‘The Lane’ as Spurs fans knew it, hosted its final game on the 14th of May 2017, with a 2-1 win for Spurs over Manchester United. Demolition began the very next day to make way for Spurs’ new ground. While the new stadium is being constructed, Tottenham will play their 2017-18 home fixtures at the nearby Wembley stadium. The new stadium does not as of yet have a name. Tottenham Hotspur have not always played their home games at The Lane, they started out with much more humble beginnings. Originally they played on public land at the Park Lane end of Tottenham Marshes. Because the game was being played on public land, they couldn’t charge spectators to watch. As crowds grew, the need for bigger premises became apparent when 15,000 people crowded into their next home, a rented pitch at Asplins Farm, to see Hotspurs take on Woolwich Arsenal and the refreshment stand collapsed. The club moved to a patch of land behind the White Hart pub which would become the Ground. The stands from the old Spurs Stadium Ground were installed at the White Hart site and Tottenham Hotspurs played their first game at The Lane, a friendly against Notts County on the 4th of September 1899. A crowd of 5,000 people watch Hotspurs win 4-1, helped along by a David Copeland hat-trick. Their first competitive match was held five days later in front of a crowd of 11,000 where Spurs beat QPR 1-0. Between 1904 and 1905 two large earth banks were added to the site to take its overall capacity up to 40,000. 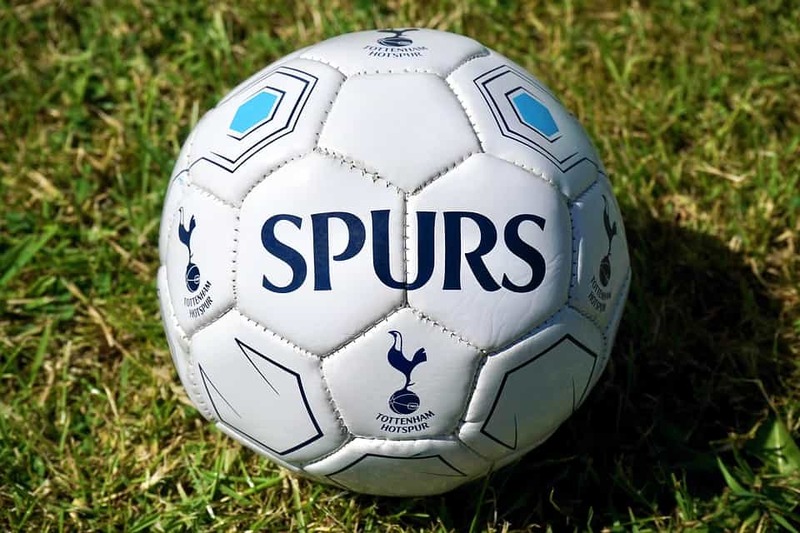 In 1908, Hotspurs entered the Second Division of the Football League and beat Wolverhampton Wanderers 3-0 in their first game. Due to such great wins, a number of people have started to put bets on matches at the Spurs Stadium. Football betting is becoming more and more popular across the UK and a lot of money can be won from this. New covered East and West stands were added by 1909, with the West Stand being the largest stand in English football. When the First World War came around, the stadium was taken over by the Ministry of War and turned into a factory making gas masks, gunnery and protection equipment. After the War, the ground continued to be renovated thanks to money from winning the FA Cup in 1921. The Paxton Road end received a double-tiered upgrade and capacity increased to 58,000. Leaner times followed and the club were relegated to the Second Division in 1928 and would not return to the top flight until 1933, albeit only for two seasons as they were swiftly relegated again. Despite this, in 1934 the club completely rebuilt the East Stand and introduced a double-decker structure that could seat 4,983 punters and still leave room for 18,700 standing supporters. With this addition, it took the capacity up to almost 80,000. During the Second World War the Government would again disrupt the footballing calendar. This time around, Hotspurs would have to share White Hart Lane with local rivals Arsenal as their ground Highbury had been requisitioned to be used as an Air Raid Precautions Centre. After the war Tottenham were languishing within the Second Division, but upon appointing former player Arthur Rowe as manager their fortunes changed. They not only won the Second Division but upon their return to the First Division in 1950 they won that league as well. This kickstarted a run of prosperous years for Spurs that would last until the mid-1970’s. Bill Nicholson took over as manager in 1958 and led the team to major trophy success three years in a row. Under his guidance, Spurs won the double in 1961, the FA Cup in 1962 and the Cup Winners Cup in 1963. Nicholson also signed Jimmy Greaves in 1961. Greaves would go on to become Tottenham’s highest ever goalscorer, the fourth highest international goalscorer, the highest goalscorer in English football history and score more England hat-tricks than anyone else. Nicholson also led Tottenham to an FA Cup in 1967, a UEFA Cup in the 1971-72 season and two League Cups in 1971 and 1973. Once Nicholson departed, Spurs’ fortunes took a turn for the worse. They were relegated after the 1976-77 season, but manager Keith Burkinshaw guided them back almost immediately and made three of Spurs most famous signings; Glenn Hoddle, Ozzy Ardiles and Ricardo Villa. Under his guidance Tottenham won back-to-back FA Cups in 1981 and 1982 and the UEFA Cup in 1984. However debt at this club would lead to boardroom changes and the introduction of Alan Sugar and Terry Venables. Venables would later sign Gary Lineker and Paul Gascoigne. Spurs were one of the five clubs to push for the formation of The Premier League in 1992. Despite many capable managers, Spurs won very little in the Premier League with only the League Cup in 1999 and 2008 to show for their efforts. Recently however, Tottenham have again become a force to be reckoned with, regularly finishing in the top five places and achieving Champions League football status. Spurs biggest top-flight win came on the 22nd of November 2009, where they smashed Wigan Athletic 9-1. Jermaine Defoe scored five of the nine goals. However, the clubs record win in all competitions is a 13-2 thrashing of Crewe Alexandra in the FA Cup on 3rd of February 1960. The record attendance at White Hart Lane was 75,038 on the 15th of March 1938 when they played Sunderland in a Cup tie. When Spurs sold Gareth bale to Real Madrid in 2013, they received a then world record club transfer fee of 100.8 million Euros for him. When Tottenham won the League Cup in 2008 they became only the second team ever to win a major trophy in each of the last six decades – a feat matched only by Manchester United. The club’s latin motto is Audere est Facere. This translates as ‘To Dare Is to Do’. Since there are a number of matches going on at White Hart Lane, Tottenham betting is becoming more and more popular. We can offer the very best football bet tips to improve your chances of winning. Make sure to have a look at all our different betting tips to ensure you are putting on the best bets on all of your favourite sports.